It has been quite hard to find basketball shoes for wide feet in the market. Most manufacturers often cut their sneakers narrowly, therefore, leaving out another group of people whose only mistake is being born with wide feet. However, a lot of concerns have been raised in the recent past which has led to significant increase in the number of these products. As a wide-footer, you need a pair of shoes that will comfortably fit your feet allowing you concentrate on the game. Why would you put on very tight shoes that will leave you pressure marks and blisters after a game? Not anymore. 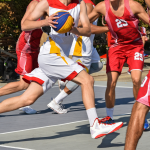 In this article, we have carefully selected the best basketball shoes for wide feet for you. 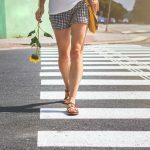 You cannot just get to the market and pick any product you come across without taking into consideration some of the basics that the shoes should have. 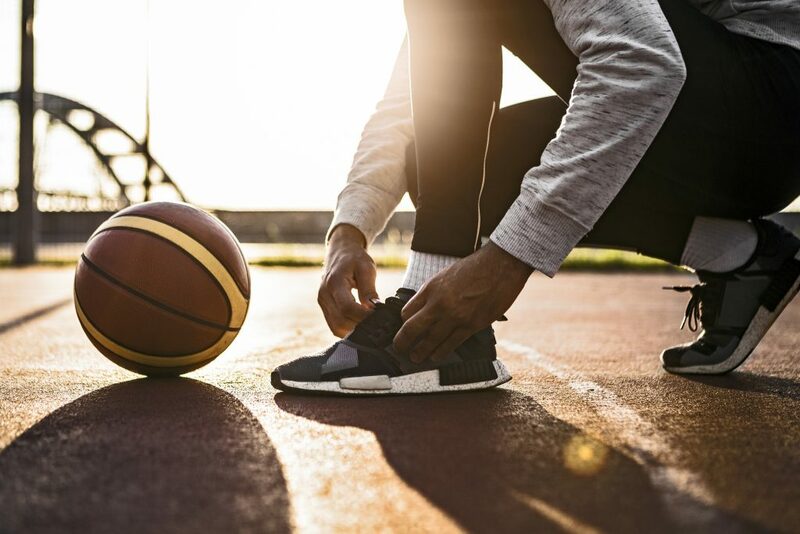 In this section, therefore, you get the chance to know what you need to consider before adding the pair of basketball shoes to your cart. The quality of any footwear is usually determined by the type of material which has been used to make it. It is also the same material that determines how comfortable your shoes will be in the long run. Is the material synthetic, canvas, textile, leather or even a combination of several other materials? Most manufacturers presently do a combination of several materials that result in the best quality that is liked by many. Another important material that should always be included during the production is the mesh that is often responsible for sufficient air circulation. It is the air that keeps the feet well ventilated and dry. Always check the material that has been used to make the shoes as the products’ durability is also related to the material used. If a weaker material has been used, the shoes won’t even last. Are you ready to spend on shoes almost every time? I don’t think so, therefore, you have to get the material right to enjoy all the above-mentioned features. Occasionally, you will need to adjust your basketball shoes to fit. The type of adjustment that your shoes need to have shouldn’t be difficult to adjust. Straps and laces that are easily adjustable are great for your own comfort. 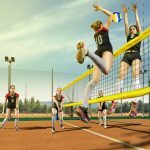 If your shoes happen to slip off your feet while playing, you will be in serious trouble and sometimes even injure yourself. By having wider feet, you need to pay a lot of attention to how well the shoes will fit. 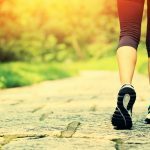 Narrow shoes can restrict your feet which can lead to a lot of discomforts. Therefore, there is need to look for shoes with the right width, length, and adjustable laces or straps. The shoes you go for should have the maximum grip to ensure that they don’t slip. Their tractions should be of high quality, possibly able to mimic barefoot movement. Any shoes that will limit your traction and movement should be given a wide berth. Besides, the product you go for should be breathable as well. If the traction gets coupled with being lightweight, then the best shoes for wide feet will be a great deal for you. 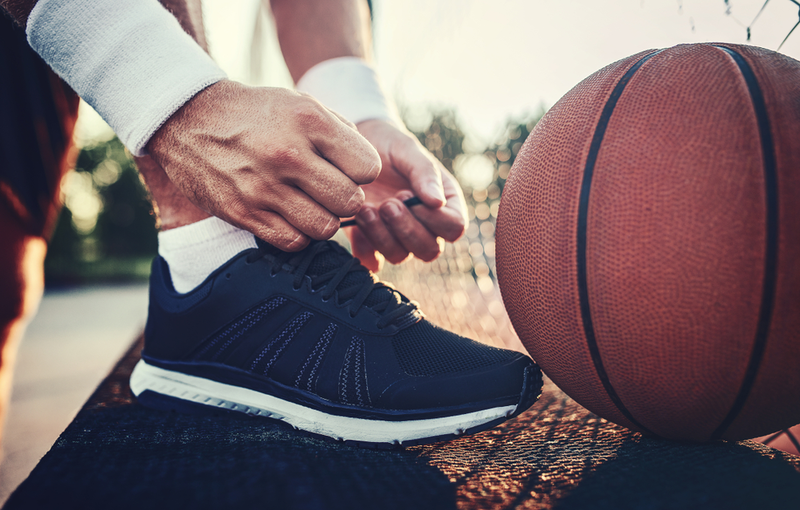 Being able to move easily in shoes will keep you concentrated on the game with nothing to worry about. Comfort is the reason as to why you are in the market for this type of shoes. It is, therefore, another factor that you should never ignore. Ensure that the products you have settled on are well-sized and will ensure you are comfortable whenever you have them on. Additionally, the shoes need to be easy to put on and off. Do they feel comfortable and normal on your feet? If not then you have all the reasons to return them. But it is always a good idea to test the shoes on before taking them home to be certain of how they will be like in the foreseeable future. If the shoes are too tight, airflow into the feet will be inhibited making your feet sweat profusely. Worst of it all, this may result in fungal and bacterial infections. 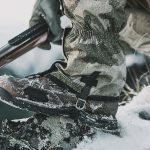 On the other hand, the shoes should not be too loose that they will be slipping out of your feet while playing. We currently live in tough economic times with high inflation rates. This calls for the efficient use of money which is a reason as to why you also need to consider how much the pair of shoes will cost you. The amount you’re willing to part ways with need to fall within your budget. High-quality shoes that are less expensive should feature top of your wish-list. Are you a Basketball lover and player? Well, here is a great product from the Adidas that will amaze you. These shoes have been originally constructed by textile as well as synthetic materials. The synthetic kind of material simply makes it be much lighter hence comfortable during your play. The inner soles of the shoes are made of textile that brings smoothness and cool filling to your feet. The outer soles are made of 100% rubber; hence you can be sure of getting a long-lasting product of your choice. Additionally, they have been specially designed to extremely improve your moving speed when in the field. These shoes are spacious enough to accommodate your wide feet. Their Torsion System design effectively gives you the stability and impact you so desire. They are nicely made with bold colors that will make you stand out and shine. It is now a great opportunity to have these shoes on your list. Individuals with large feet would really appreciate using these shoes. 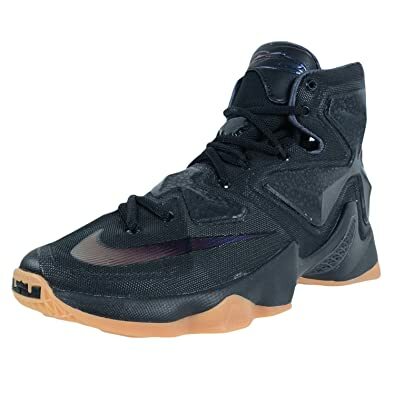 The Nike Lebron basketball shoes will make sure you get durable support and a great feel with every step you make. This is because of the presence of lean and light dynamic flywire cables used in designing these shoes. That’s not all, the sleek upper design all contribute to the better performance of these shoes. 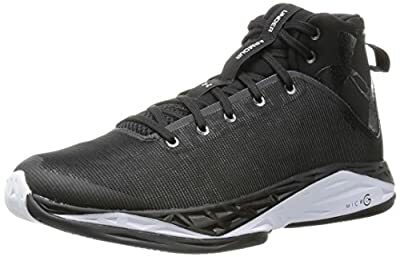 To help make sure that you maximize your explosiveness, this shoe brand features a responsive zoom air cushioning in the forefoot and heal areas. What’s more, these shoes have rubber soles with the best grip to make sure that you are always stable when walking around. These great shoes are made using a synthetic material that makes then durable and better performers. What you would also like most about these shoes is that they are affordable and can, therefore, be bought by almost everyone. These shoes will also make sure that your ankles are perfectly covered and kept away from harm. This is another great product you should consider while in dire need of a Basketball Shoes for wide feet. They are a fashionable and stylish kind as far as beauty is concerned. Their synthetic nature makes them much lighter when it comes to moving and lifting your legs. They are the most recommended for your Wide Feet as they are fitted with breathable mesh for free air circulation. You will enjoy firm grip and support from the CompFit construction at the angle that has the ability to lock your feet nicely. Besides, be sure of not encountering lace bites as other similar products do. Get yourself a well-tested and proven product to be long-lasting. Additionally, their fitting construction gives a compressible support for your ankle. Wouldn’t that be a great item bring to your lovely family? Well, don’t miss out. Furthermore, they are available in various colors to choose from. You are much sure of ordering your taste and preference color which will even match your casual attire. The injection- like design on the outer sole steers and controls your moving directions as you play basketball. 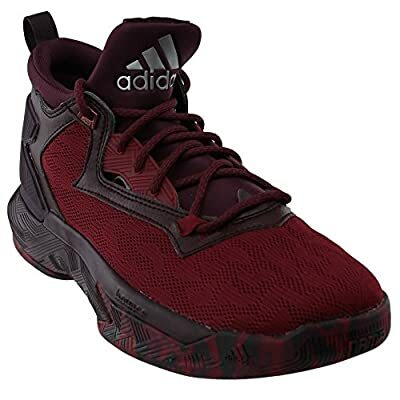 Adidas D Lillard 2 Men’s Basketball Shoes are just other great shoes you should include on your list. They are fairly priced items that will bring happiness to you. This is a perfect gift to give your friends, especially during their birthday parties. Being a Basketball lover, ensure you have this item on your list whenever you will be placing your orders. They are an original construction of pure synthetic which makes them 100% authentic. What’s more, they are fashionable and lightweight hence won’t bother you during movements. These are the top brand new shoes on the market for you to continue playing Basketball. They are available in high quality products which clearly indicate their durability. The fact that these shoes are highly stable is something that every basketball player should fall in love with. What’s more, they also have a stainless bottom. Meet just another best chap of yours from NIKE. These are really superb shoes that will absolutely amaze you while satisfying all your needs. They are currently featuring the market with their foam kind of technology, which gives a full blend of comfort to you. What are you still waiting for? Give them a try and enjoy the huge difference. Their well-made rubber soles will provide you with premium cushioning and avoid feet injuries. Besides, the outer soles are perfectly designed with the pressure mapping system which delivers the right underfoot traction. This product has dimensions of 14 by 8 by 6 inches which is a clear indication of its enough space for your wide feet. Their well-fitted mesh on the top helps in locking you high up the ankle and prevents mere discomforts. Your wish is granted, have this great item and make your Basketball play fantastic. 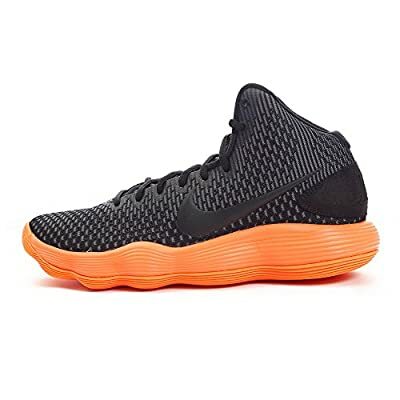 Looking for high-quality shoes for Basketball? Look no further; here comes another product you can consider. 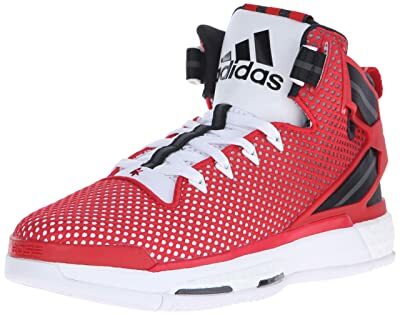 Adidas Performance Men’s D Rose Basketball Shoes are another rocking product on our list as well as the highest rated. They have been built with a synthetic and textile material which makes them absolutely lighter when it comes to lifting your legs. These shoes have a shaft that has a rough estimate of 5.5 inches from the arc. It has been designed with the current boost technology for maximum energy return due to the asymmetric collar. The sole has been uniquely made such that it doesn’t make marks as you move from one point to the other. The shoes are amazing such that their midsole cage is integrated with EVA. This provides you with the maximum support and comfortable grip you so desire. Besides, they also have cage locks that provide you with superb stability that will allow you to quickly cut your competitors. Take your play to the next level by having these shoes. 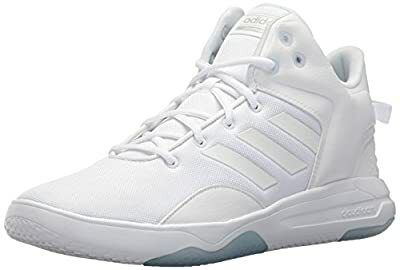 The CF basketball shoes from Adidas are other specially designed shoes for wide feet. They are a modern design that includes an understated basketball style. The upper sides of the shoes are woven, and the heels are well-colored to give them a nice look. Their shafts approximately measure from the arch to the mid-top which makes them a perfect basketball shoes. They are made of synthetic and textile which is another great plus for them. Besides, these shoes have sturdily built rubber soles for maximum grip and comfort. These shoes have adequate dimensions to accommodate people with wide feet. They are also lightweight, weighing just 3 pounds. This further makes them ideal for any wide-footed basketball player. It can’t pass without mentioning that it has 3 tonal stripes. 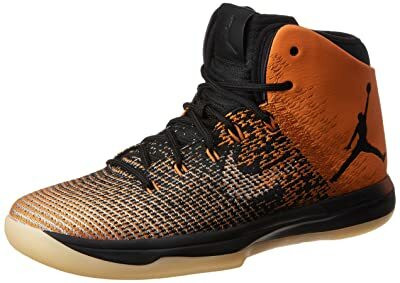 Nike Men’s Air Jordan Basketball shoes are the last rated product from this list. However this does not mean that their features are compromised, they are among the best shoes for Basketball. You can as well get a taste of this item that has inner sleeves for wrapping your wide feet to personalized fit. These shoes have been compiled by the technology of flight speed that gently distributes force from your foot. This as a result gives you the correct air supply and multi-spring responses for maximum explosive steps. These shoes have been originally made of rubber. You can, therefore, be assured of purchasing a highly durable product that will save you from unnecessary expenditures. They have been excellently designed by a leather heel that is synthetic and a versatile fly-weave foot. Hence making your feet move naturally while fully supported by any form of traction. The well fitted fly-wire cables allow your mid-foot to be wonderfully wrapped and locked for a superb fit. This product should feature somewhere in your list as well as placed orders. It is wonderfully and reasonably priced to suit your dire need. At times you realize that you aren’t satisfied with your received order; with this item, you are free to return and be given what you so wish. The shoes that your feet can comfortably fit in are very important for any basketball player. The type of shoes on your feet while playing can either make you a superstar or a terrible failure. Just choose the best basketball shoes for wide feet and be the former. 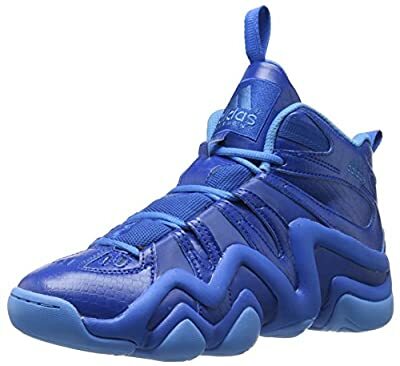 Of the 8 reviewed products, none beats Adidas Performance Men’s Crazy 8 Shoes. They are affordable, stable, made of high-quality materials, durable and comfortable among other great features that they have. It is for this reason that I would like to recommend them for you. Get a pair of these shoes, and you will love playing basketball your entire life.